MIIEGO UNITED KINGDOM | M1 by MIIEGO® RECOMMENDED BY PANACHE MAGAZINE (JAMAICA)! M1 by MIIEGO® RECOMMENDED BY PANACHE MAGAZINE (JAMAICA)! 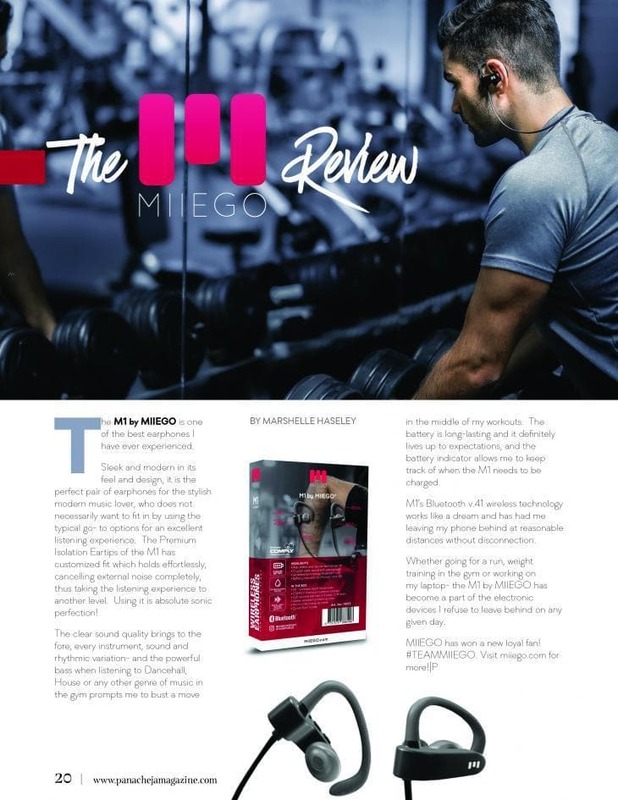 The M1 by MIIEGO® has been reviewed and recommended by Jamaican lifestyle Magazine PANACHE as one of the best earphones they have ever experienced! Thank you for the recommendation and great review, PANACHE Magazine!